There are three kinds of deeds used for real estate transactions in Massachusetts: warranty deeds, release deeds, and quitclaim deeds. Each offers different types of protection and guarantees against any defects in the title that is being transferred in the transaction. 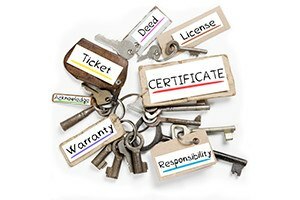 While most property is transferred by quitclaim deed, the greatest protection for a buyer comes with a warranty deed. If you are selling or buying a home in Boston or the surrounding communities, a real estate lawyer at Pulgini & Norton can give you advice on your rights and obligations. In Massachusetts, an attorney must supervise a real estate closing. Buyers sometimes need to retain separate counsel when there are distinctive circumstances in a sale or to examine title and issue a title insurance policy. An attorney can help you decide how to take title and prepare deeds and related instruments to protect either the seller or the buyer. The greatest protection available for a buyer of real estate is a warranty deed. Under Chapter 183, Section 10, a duly executed deed with the form entitled "Warranty Deed" has the force and effect of a deed in fee simple. Four covenants or assurances are made upon transfer. The following are the assurances of a warranty deed. First, the current owner actually does own the real estate in “fee simple.” This form of legal ownership is total, meaning that the owner can use the land, exclusively possess it, commit waste upon it, or dispose of it through a deed or will. It is considered absolute ownership, and if a fee simple owner dies without a will, his or her heirs automatically inherit the land. Second, the property is free of all encumbrances, which are limitations to title such as easements, except those limits that are listed in the deed. Third, the current owner has a legal right to transfer the property to the buyer. Fourth, the owner promises to defend against any title problems that arose during his or her ownership, and before it. Quitclaim deeds offer more limited assurances. They do not cover preexisting encumbrances. In other respects, a quitclaim deed offers the same protections as the warranty deed. Release deeds offer the least amount of protection of the three types of deeds, merely transferring title or another right to a particular piece of property and offering no assurances as to whether the title is valid. When you are buying or selling a home, you may have significant concerns about the legal ramifications of your decisions and the form of ownership being transferred. Once you decide to sell, or you identify a home you would like to buy, it may be useful to have legal advice. The experienced property transaction attorneys at Pulgini & Norton can represent Boston residents in negotiating a quitclaim deed or warranty deed when appropriate. We represent clients in Quincy, Newton, and Waltham, among other communities across the state. Call us at 781-843-2200 or contact us via our online form for a consultation.